Yelow is a personal care concierge service that takes care of our everyday essential products. 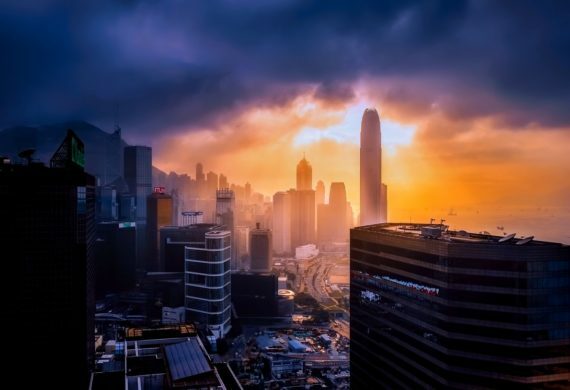 A smart lifestyle ecommerce platform, Yelow enhances the users’ shopping experience through innovative product filters, smart recommendation, and an easy-to-pick kit-based system. An intelligent product tracker keeps a record of all your essential products, the usage cycle and reminds you well in time to reorder so you never run out of these when you need them the most. No one likes a worn out toothbrush first thing in the morning, or shaving blades that are rusty or a last minute dash for sanitary napkins at midnight. With Yelow, once you register and build your kit, you never have to remember to buy your personal care products ever again nor will you ever run out of any of them. In the thousands of products available today in the personal care segment, Yelow will help you find the right match. Apart, making sure the same product is always available at your nearest store is never a guarantee. So ‘Yeh-low’!  A smart, educated shopper who likes to pick the right product out of the thousands of options available?  A young working couple who do not get the time to make a shopping list and hate last minute run to buy these?  An urban Indian who wants to be educated and stay hygienic always as regards to the personal care products?  An aspiring Tier II and Tier III city citizen who likes the best products in the country at your doorstep regularly? 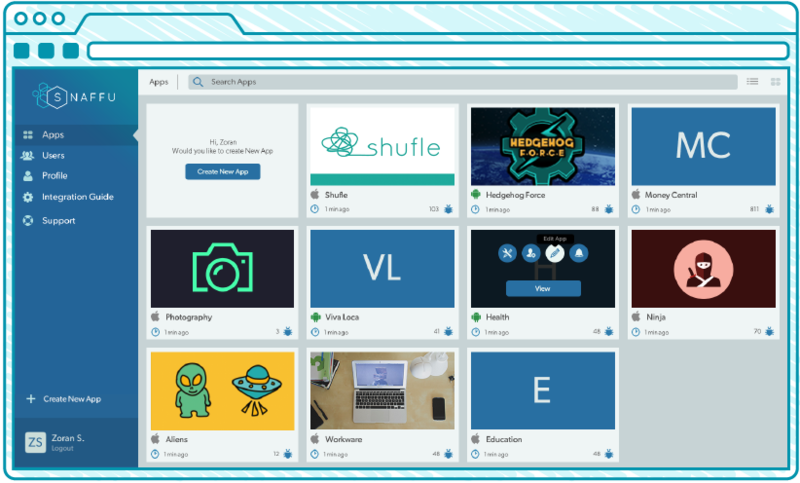  A teenager who wants to know & buy the product you need, within the comfort of your room?  A nonchalant individual who would like someone to help make him a Ready Kit, which takes care of his basic needs? Yeah? Well then Yelow is for you! • List all Domestic & International Brands: Yelow Be Synonymous to personal care. • Private Label: Launch private label along with strategic partner: 1908 E-Ventures Pvt. Ltd (increase product margins). 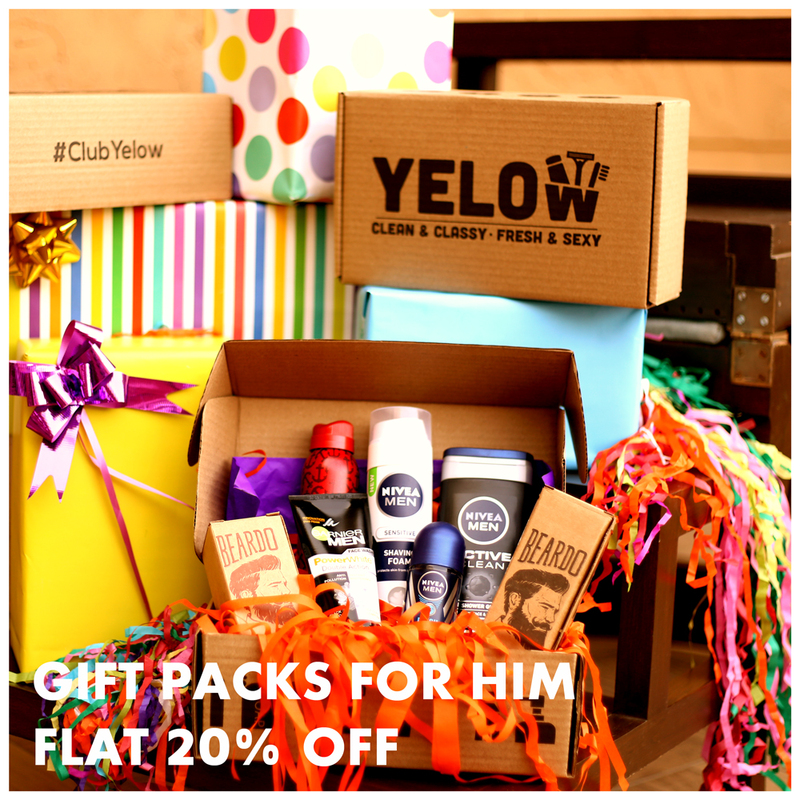 • Ready Kits and Gift Packs: create niche subscription packages for consumers – Yelow Parcel / Yelow Shave Club. • Increase touch points with customer: NFC-Based Tap for Reordering. • Procurement: Direct from company at higher retail margins. Pass discounts to customers. • Smart Inventory: A better prediction of the consumers future needs helps us stock required inventory and maintain JIT Stock. • PAN-India Delivery & Multiple Payment Options: Delhivery, YourGuy, Vichare, Maruti (logistics). • Paytm, PayU Money, CoD available. • Increase Customer CLV: Increase repeat purchase per customer by timely reminders and large product portfolio. Yelow was founded by four friends in May 2015 in Mumbai. Each of the four co-founders brings a unique skill to the business which was imperative for the business to flourish. Three of us – Arjun Shah, Viraj Mehta and Nakul Vakil were classmates at Indian School of Business (ISB, Hyderabad) where the idea took shape. The company was incorporated in May 2015 and with an in-house technology team based out of Vadodara, Gujarat headed by Bheshaj our Chief Technology Officer (CTO) we were successful in launching the first beta in less than 4 months in August. In the subsequent months, we successfully launched the mobile responsive website and a mobile application for Android users. In December 2015, we launched operations for business and in less than three months we have been successful to register 1000+ users and over 400+ orders. We are optimistic to change the way India shops offering an engaging and exciting platform and in turn make India a safer and more hygienic country. The design and business development head of the team, Nakul has a degree in electronics engineering and an MBA from Indian School of Business. His past experience includes a family business, a startup and L&T. An MBA from Indian School of Business, Arjun has studied E-Commerce from the London School of Economics. He is the strategy pillar of the company. His past experiences include Strategy Consultant at EY and HERO Motocorp. A Chartered Accountant and a CFA Level III candidate, Viraj has an MBA from the Indian School of Business. He is the finance head of the company with past experience in KPMG as a tax consultant. Bhejash holds a master in Computer Science from the San Jose State University and is currently on a sabbatical from Stanford University while working on his PhD. Bhejash is a serial entrepreneur and the technology genius of the team. Past Experience includes NASA, E-MediWorld, YouMapper, Alive Mind Creatives Pvt. Ltd.
*’Featured Startup Pitches’ are submitted by individuals, and edited by StartUp Beat for spelling and grammar. Any claims made or errors otherwise are attributed to and the sole responsibility of the author.